ENThealth.org provides a reliable resource for patients wanting to understand guideline recommendations. Its “Conditions and Treatments” pages are developed and updated with the CPG participants in coordination with these important findings. New updates for this guideline include changes to these topics: Tonsils, Tonsils and Adenoids, and Pediatric Sleep-Disordered Breathing and are available for patients currently. 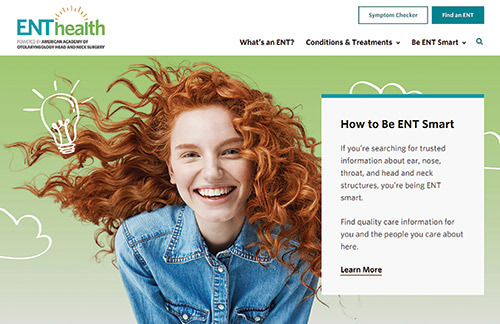 In the “Be ENT SMART” section of the website, patients who want to know more can connect to the new guideline itself and its associated patient-focused fact sheets and tables. In this way, patients can find the right information in one place to manage existing health issues and make more informed choices. Direct your patients with confidence to: https://www.enthealth.org/be-ent-smart/latest-research-guidelines/.